Sometimes a day trip is just what the doctor ordered. 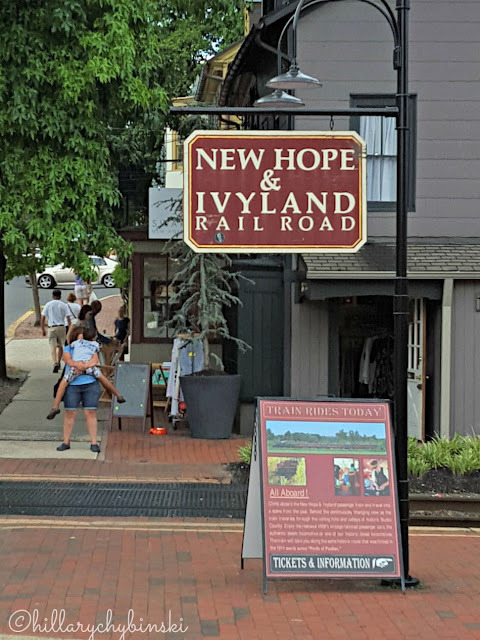 Between work and kids' activities, it can be hard to get away from it all for an extended period of time, but we love to set out on adventures as a family, and our most recent one took us on a family travel adventure to New Hope, PA and Lambertville, NJ. In under an hour, we were in picturesque New Hope, PA. 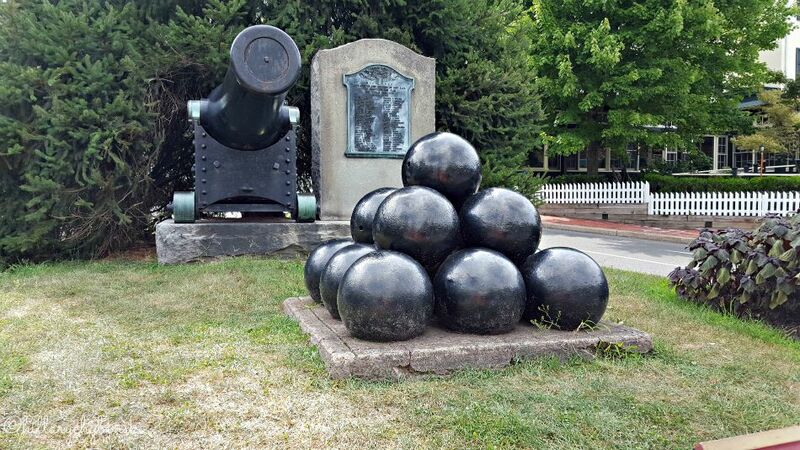 If you've never been to this area, it's a quaint artists community that sits along the Delaware River. There are bike paths, shops, restaurants and galleries to amuse yourself with, along quaint tree-lined streets. 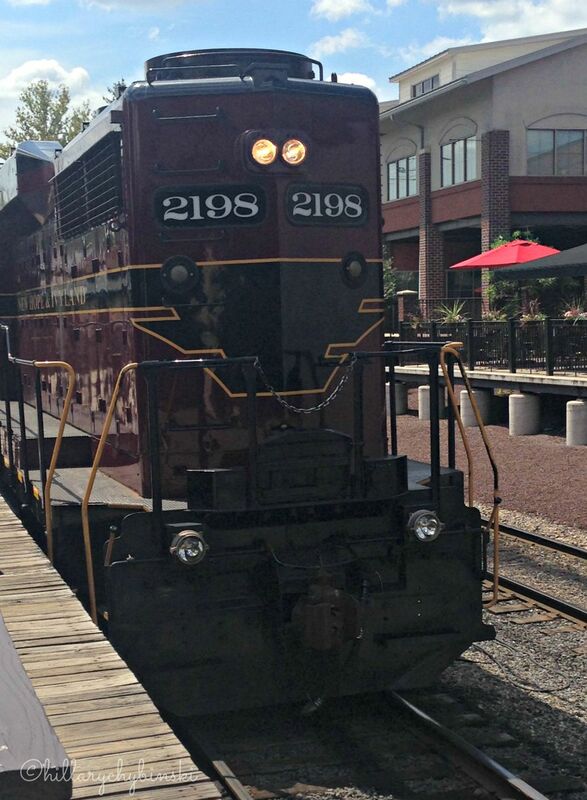 Something fun to see (especially if you have kiddos with you) is the Ivyland Railroad. You can purchase tickets and take a 45 minute scenic ride. We were lucky enough to visit on a picture perfect day with plenty of sunshine and a cool breeze. The rhythmic train ride was so much fun. The conductor tells you a little bit about the history of the Pennsylvania Railway system and the area that you're riding through along your tour. You can purchase pictures and refreshments on the train as well. After our train ride, we were all hungry, so we walked over to the Triumph Brewery for lunch. 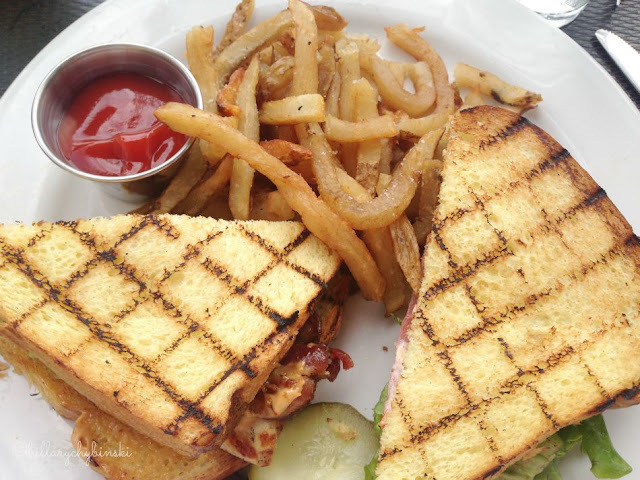 We snagged a nice table outdoors and enjoyed a leisurely lunch before strolling around to see the sites.There are several great places to eat both in New Hope and in Lambertville. Not only that, but there are your typical Starbucks and Dunkin Donuts, as well as a really yummy and charming ice cream parlor, called Moo Hope. 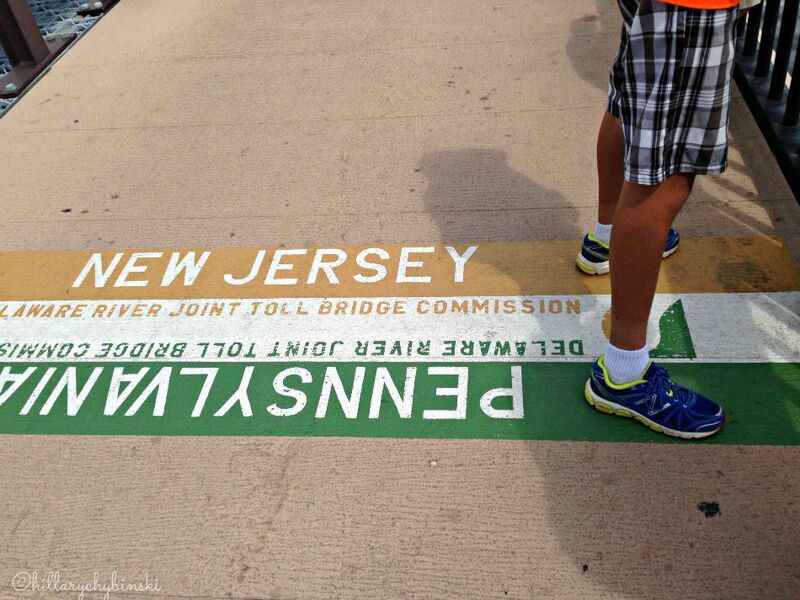 We've been here several times in the past, but this is the first time we walked all the way over the bridge to NJ. That's right, you can take a pedestrian pathway over the Delaware River and walk into Lambertville, NJ. There are plenty of things to see along the way. It's a great day out, with a little something for everyone. If you are coming from Philadelphia, you may pass Penn's Purchase (a great outlet mall) and Peddler's Village on your way. Both of these are worth a stop if you have the time. In fact, there's so much to see and do, you could easily make a weekend out of it. And with Fall and the Holidays coming, the special event calendars are filling up too! I haven't been to New Hope in forever. This makes me want to go and bring the kids this fall!! I love New Hope/Lambertville and don't go enough. They have a great children's museum right across the tracks to make for the perfect kids' day out. I got married in New Hope/Peddler's Village. The boys took that train ride and stopped at Triumph this summer too! I've always wanted to visit here, it looks beautiful! Lauryn Blakesley took me thru here when we did a blogging conference together 2 years ago. I've always wanted to go back. 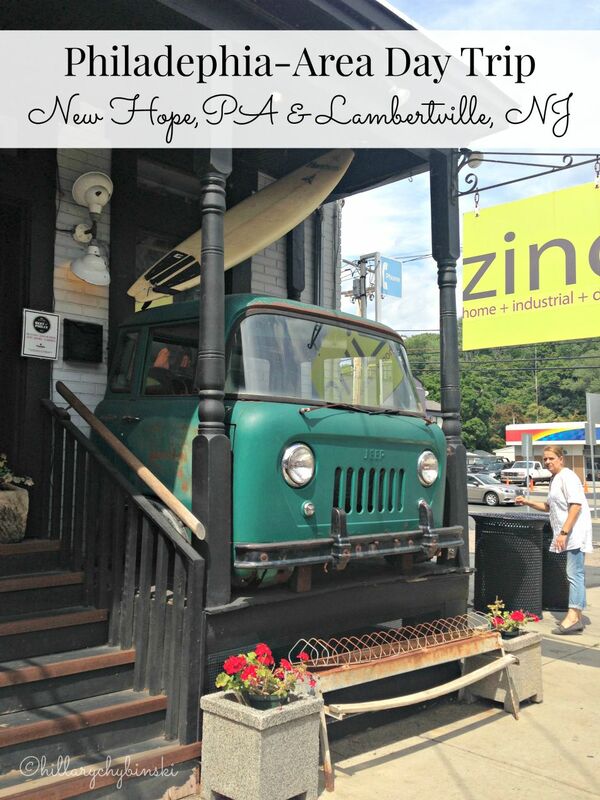 I live just a few miles from New Hope. It's so quaint and always fantastic! I love this area, but we never visit it enough!